Once your asylum application has been rejected, you are no longer allowed to stay on the French territory. If you choose to stay, your stay will not be legal. 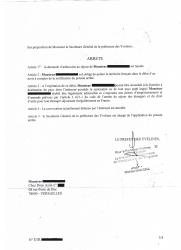 The prefecture will send you an « OQTF » (Obligation to Leave French Territory), stating that you must leave France. In the chapters below, you can find more information about the OQTF, as well as some key points to help you whether you decide to stay or leave. If your asylum application has been definitively rejected (by both the OFPRA and CNDA), the prefect can refuse to renew your attestation of asylum seeker (ADDA) and adopt an expulsion measure by sending you an OQTF (Obligation to Leave French Territory). -> The OQTF that you would usually receive is an OQTF “with a period for voluntary departure”: i.e. 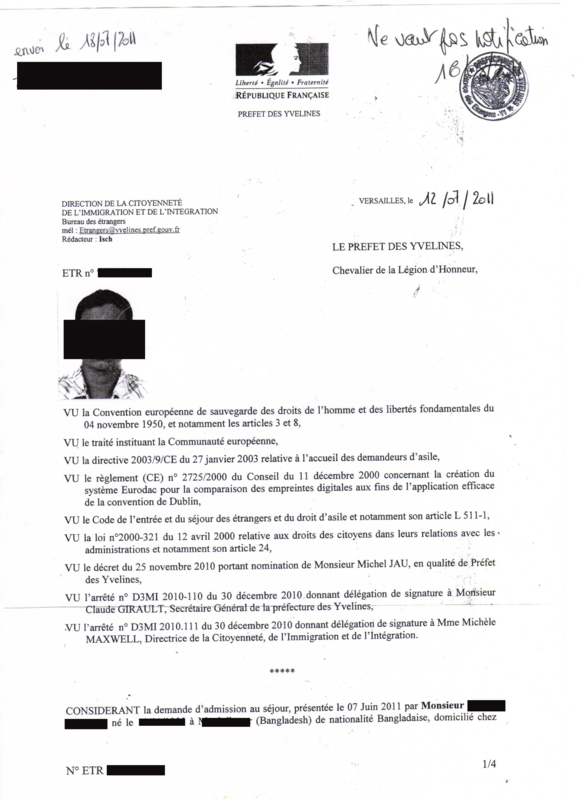 an OQTF that grants you 15 days to voluntarily leave France. If you wish to return to your country, you can ask for the voluntary assisted return to the OFII office of your place of residence. On the contrary, if you want to object to this OQTF, you must quickly appeal (see below). -> It is also possible that an OQTF is delivered to you by hand “without a period for voluntary departure”; in which case you would have to act promptly if you wish to appeal this OQTF (see below). “Order to leave the French territory” (OQTF = Obligation de Quitter le Territoire Français). 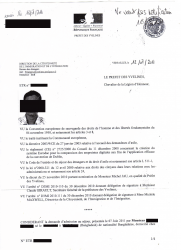 The OQTF is a measure taken by the prefecture against any illegal person, that forces him/her to leave France. If the illegal immigrant has good reasons not to leave France, he/she can make an appeal against the OQTF before the Administrative Court (Tribunal Administratif). What is the deadline for appeal? The period to appeal an OQTF is quite short, and depends on the kind of OQTF that you have received. 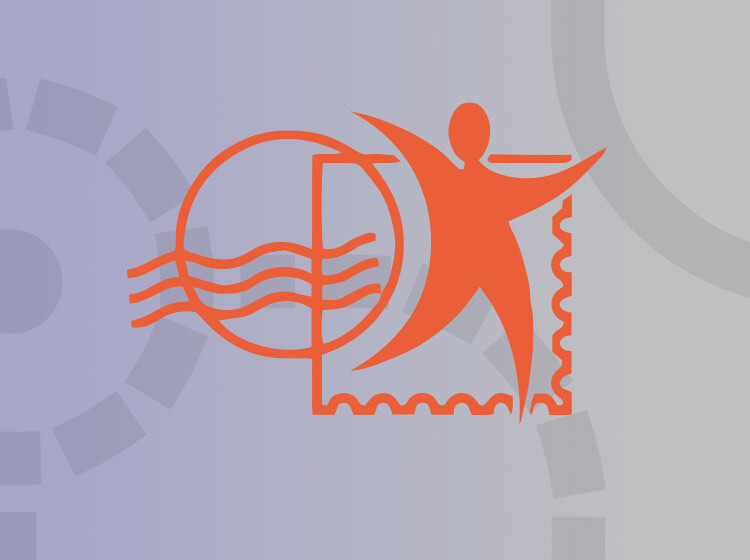 -> For an OQTF with a period for voluntary departure, you can lodge an appeal before the administrative tribunal (Tribunal Administratif- TA) most of the time within 15 days from the notification of OQTF. This 15-day period starts from the delivery of the OQTF to you or from the day you collect the letter at the post office. If you do not collect the letter within the 15-day period indicated on the delivery notice, the period starts from the date of the delivery notice. -> In the exceptional case when the OQTF does not come with a period for voluntary departure, you can appeal within the next 48 hours (non-extendable, even if it expires on a Saturday, Sunday or holiday) from the notification. You can lodge an appeal against some or all of the measures related to the OQTF. Your action for annulment must reach the administrative tribunal before the expiration of the period. A lawyer can assist you to lodge an appeal against an OQTF, but it is not mandatory to have one. However, considering the serious consequences of an OQTF for you, it is highly recommended that you get the assistance of someone: a specialised lawyer if you can afford hiring one or an association. It is possible to have the assistance of a lawyer, either through the legal aid system or through the assistance of the ” on duty legal assistant “ present in the court. WARNING: If you ask for legal aid, it will interrupt the appeal delay : you still have to lodge the appeal within 15 days or 48 hours according to your situation. To help you in the appeal process against an OQTF, you can consult specialised associations such as La Cimade. If your request is dismissed, you are in an irregular situation on the French territory. However, you can still have access to healthcare, in particular through the AME (Aide médicale d’état – State Medical Assistance). 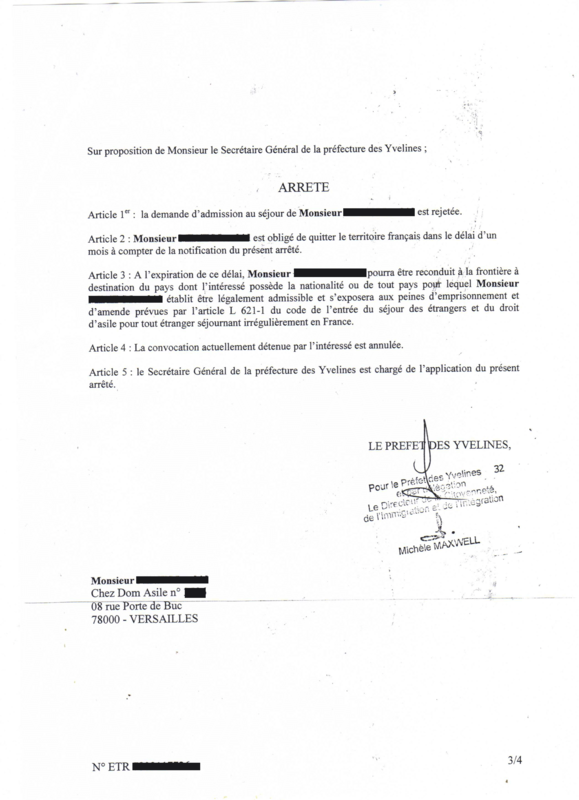 The State Medical Assistance (AME – « aide médicale d’état ») gives access to healthcare to people who are, according to French law, illegally remaining on the French territory. AME is means-tested and residence-tested. -> Residence: If you have been living in France in a stable and regular fashion for more than 3 months and that you are in an irregular situation (you have no residence permit/valid récépissé/ appointment for regularisation request), you can be granted medical assistance. 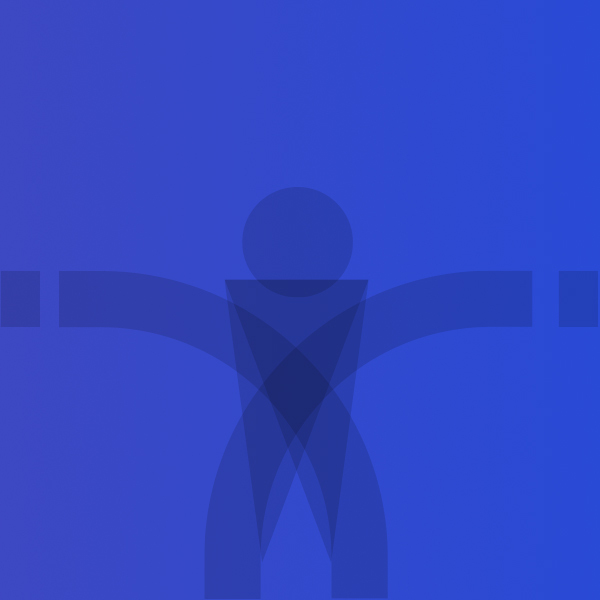 -> Means/Resources: your resources must be inferior to a certain amount. This amount is the same as for CMU-C and varies according to your number of dependents. Your resources from the past 12 months are taken into consideration. 4) A photo: colour photo only. 5) Resources: You must indicate your resources in the form. It is possible to indicate « undeclared work » or « friendly help » or « help from an association ». However, it is not possible to indicate « 0€ » : if you do so, the file will be rejected. If you do not have any resources, you must indicate the amount of money that you receive from your friends or associations. >>The AME is granted for one year, to be renewed 2 months before expiry. >>There is no advance of costs for those who are granted the AME. Which means that you will not have to pay anything for your medical appointments. Some doctors may ask patients to pay the appointment, and provide medical expense claim forms, but remember that you will not be reimbursed afterwards, even with the AME. You must send the completed file by post to the CPAM of your department of residence/address (only one address), or leave it in the mailbox of your closest Caisse d’Assurance Maladie. -> Try to apply for reconsideration of your application. There are specific conditions to apply for reconsideration. Go to section “Je demande le réexamen” of our website to know more about these conditions, and make sure you have all the necessary elements before you begin this process. ->Try to look at other possibilities to apply for a residence permit (work, health, family, etc. ), and see if you meet the requirements. You can contact associations that specialise in matters of regularisation of migrants. If your asylum application has been rejected and you wish to return to your home country, you can be provided with return assistance, which is managed by OFII to facilitate departures from France of foreign nationals in an irregular situation who wish to return to their country. — booking of flight tickets — assistance to obtain travel documents — transportation from the place of residence in France to the airport in France — reception and assistance for the departure at the airport. -> Management of transportation fees from the place of departure in France to the arrival in the country of return, including luggage (as per the limits determined according to the country of return). -> Financial aid provided at once to the foreign national upon his/her departure. The granting of this financial aid takes into account the administrative situation of the beneficiary and of his/her country of return.